Porcine reproductive and respiratory syndrome virus (PRRSV) has been recognized as one of the most important pathogens of pigs throughout the world. In 2006, more than 10 provinces of China have experienced an epizootic outbreak of pig diseases characterized by high fever, reddened skin and high morbidity and mortality. From June 2006 to April 2007, we have investigated some clinical samples in Hubei province by RT-PCR and cloned several major genes, N, GP5 and NSP2 gene, shown in this study. Phylogenetic analysis of these genes revealed that the highly pathogenic PRRSV variant, ZB, was responsible for 2006 emergent outbreak of pig disease in Hubei province similar with those variants isolated from other provinces in China in 2006, and belongs to the NA-type PRRSV. In the PRRSV variants, the N and GP5 shear about 90% identity with prototypic ATCC VR-2332 and some typical NA-type Chinese isolates, except the 2850bp NSP2 gene (only shares 65% identity with ATCC VR-2332). But they all shear more than and 97% identity with other highly pathogenetic Chinese PRRSV strains. Additionally, there are extensive amino acid (aa) mutations in the GP5 protein and 2 deletions in the Nsp2 protein when compared with the previous isolates. 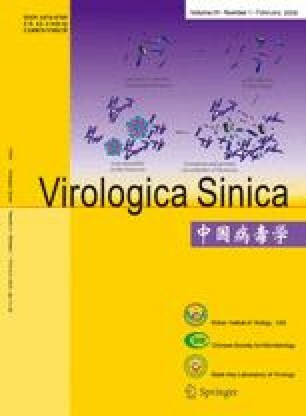 Most of the variants found in 2006 epizootic outbreak of pig diseases in China were the farthest variants from the typical NA-type PRRSV in phylogenetic distance, and these diversities may be responsible for the differences in the pathogenicity observed between these variants and original Chinese PRRSV strains.